As an innovative company for medical technology we are specialised in Biofeedback Analysing Devices and treatment concepts for professional application in the fields of holistic therapy, sports and fitness, cosmetics and wellness. Our Biofeedback Analysing Devices and Colour Light systems are based on the science of reflex zones and colour light therapy. The foundation for the highly sensitive biofeedback systems and treatment concepts is our experience for more than 25 years of empirical research in the field of biofeedback measuring, aura analysis, holistic life counselling and energy field harmonisation through colour light treatment. Even the ancient Egyptians, Greeks and Chinese all used colour therapy, although they applied different methods of application of the colour energy. The basis for the scientific explanation of colour therapy came from Sir Isaac Newton with the discovery of spectrum analysis. 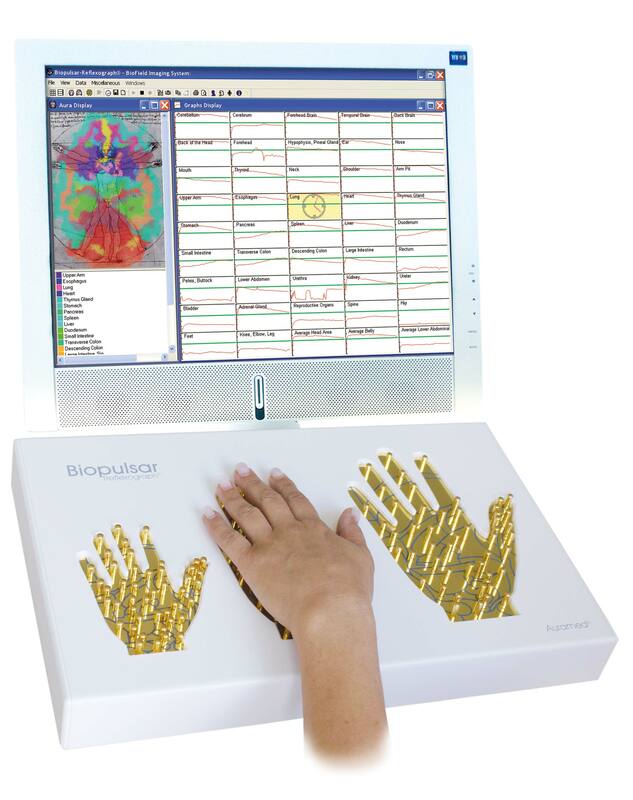 The Biopulsar-Reflexograph® Biofeedback Analysing Devices are built up in modules and can be arranged according to the individual needs of our customers and upgraded at any time. Due to intensive information interchange with our customers we are able to optimise and develop our products regularly and to adapt them to market requirements and customer needs. Because of the conception of our products we are able to offer specific solutions for individual practice requirements. Our products are in use all over the world in practices and clinics for holistic medicine and in the field of health counselling, TCM and Ayurveda clinics, institutes for mental healing and expansion of consciousness, pharmacies, sports and fitness centres and much more. At our location in Weil am Rhein, Germany – next to the Swiss and French border – we have an international training centre where we offer seminaries for our products in different languages.